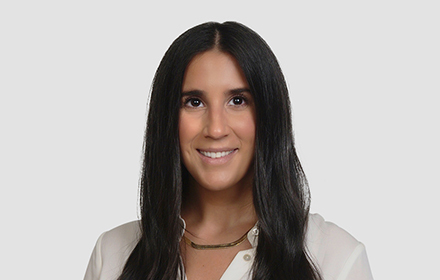 Katherine M. DiCicco is an Associate in the Monmouth County, New Jersey, office of Jackson Lewis P.C. Her practice focuses on representing employers in workplace law matters, including preventive advice and counseling. Prior to joining Jackson Lewis, Ms. DiCicco clerked for the Honorable Kenneth J. Grispin, P.J.Cv., of the Superior Court of New Jersey, Union County, Law Division, where she wrote bench memoranda, opinions, and judicial orders. During her clerkship, Ms. DiCicco worked on a variety of complex civil litigation, including matters involving employment law, insurance fraud, environmental law, and business and contractual disputes. She also conducted mediation sessions and settlement conferences between adverse parties in the Union County Special Civil Part. At Rutgers Law School in Newark, New Jersey, Ms. DiCicco served as a teaching assistant to a tenured professor for both undergraduate and graduate commercial and business law courses, including Secured Transactions and Introduction to American Business Law.